We created a little tool to check the configuration and the development design of Fiori/UI5 applications. It verifies if the most relevant application files are available and checks if the application related services are active. Finally it displays the collected result in a table. Implement the SAP notes 2549968 and 2553469 or deploy the in the notes’ stated software component. Please read the SAP notes carefully before implementing them since they imply manual activities. Use transaction SE38 and execute report /SDF/FIORI_ANALYSIS. In the input form, you can set following three flags. Check a single app: Only the application you entered in the input field will be shown. Please use the “Application Name” which is called “Technical Name” in the Fiori App Library. Test also the application’s OData service. Show the user IDs in the table fields “Last changed by” and “Created by”. Only data which could be collected are shown. If some of the cells are empty just means that the data couldn’t be retrieved. This is not an error. Check in SE80 if the application contains a Component.js file which includes a metadata declaration. 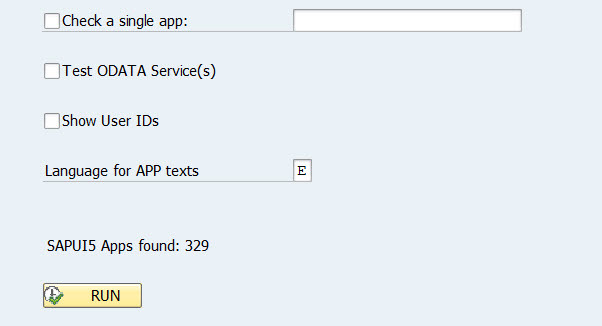 Moreover, the ICF service of the application should be active and an active OData service should be used. Index.html “X” if the file Index.html exists, empty if not. Component.js “X” if the file Component.js exists, empty if not. Component-preload.js “X” if the app includes the file Component-preload.js, empty if not. HTTP response code of the OData metadata call. The HTTP response codes are explained in this SAP blog. 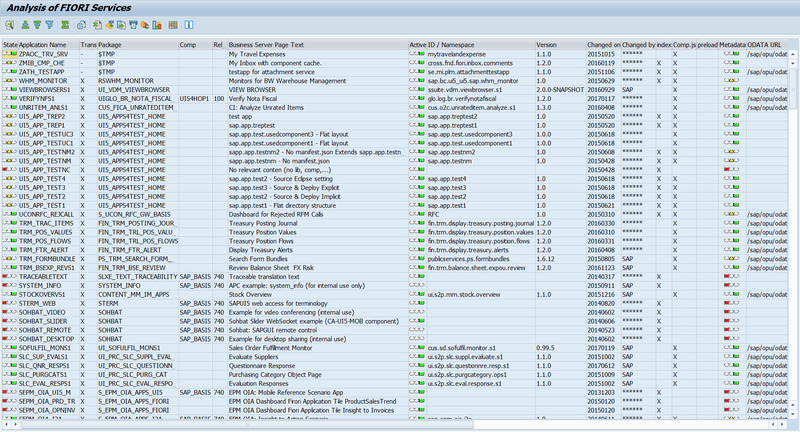 Displays the minimum SAPUI5 version specified in the manifest.json file. Used SAPUI5 Libraries The field shows the SAPUI5 sub libraries used by the application. Initial Created On Date when the file has been created. Vendor “Customer” when the application is a custom app. Only UI5 applications are checked. Classic applications (Web Dynpro, SAP Gui for HTML) are not considered. The navigation buttons do not work in the input form. They will work when you upgrade to the necessary ST-PI SP level. Please help us to improve this tool by leaving comments. Do you miss any information in the result table? Is something not clear? Should we add a specific feature?